Our hands are often the main actors in realizing our ideas. They enable us to write piercing literary pieces that touch the soul, to sketch detailed drawings that capture our imagination, and to decorate dull objects with splashes of color. Handmade crafts offer a personal touch to any output—they can turn a simple brief into a personal masterpiece but, given the fast-phase growth of digital technology, these handmade outputs can now be translated into printed material. There’s no doubt why printing services business is on the rise now. Many have commercialized digital printing by helping individuals and businesses produce their desired designs. 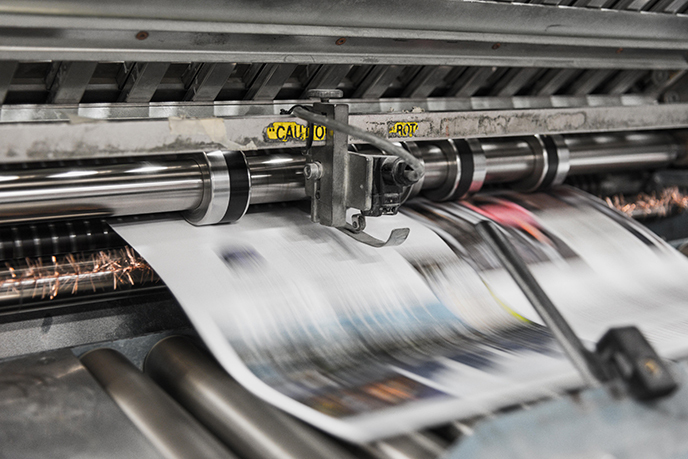 These printing services maintain a client’s personal touch through customization while also producing marketable materials that can attract a wide range of audiences. Ads Infinity is a print and advertising business whose mission is to provide unique and high-quality marketing products. Situated in Angeles City, it offers products like flyers, billboards, packaging prints and the like. Ads Infinity guarantees professionally-rendered services as it employs graphic designers and productions staffs to get the job done. Bernice Print and Plot Center is your one-stop document provider! Created in 2008 by Engr. Noel Tulabut and wife, Bernice Tulabut, this business was established to serve the demand for plotting and blueprinting in Pampanga, specifically San Fernando City. It assures customer satisfaction for reasonable prices. Its services include: Document printing, CAD plotting, blueprinting, and riso printing. Other than that, it also affords other printing services such as lamination, binding, and the like. Bernice Print and plot Center utilizes advanced technology and machines for outstanding results. It is no wonder that it now has numerous branches all over the country. Established in 2015, G & D printing solutions is a design, print, and fabrication company located in Angeles City. It is a family business initiated by Glen and Decerie Gown with a vision of creating more customized items and high-end prints. They print customized T-shirts, stickers, guestbooks, and invitations. For businesses, they also print promotional materials such as flyers and brochures. This publishing house ensures excellent services backed by years of experience as it has been in the business since 1993. Its services include offset printing, digital printing, large printing, and promotional materials construction. Pennipersonalized is a printing shop that specializes in corporate giveaways, promotional items, and business solutions. With more than 20 years of experience, Simbillo Ads has produced more than a thousand printed works and has generated more than a thousand satisfied customers. Mr. Renato Billy Simbillo, the owner, does not plan on slowing down as this family business reconceptualizes their services yearly to keep up with the times. From manual drafting and painting streamers on wooden frames, he and his family now produce panaflex, channelium, build-up signage, digiflex, and more! Wampy Prints and Designs started out online, catering to a nationwide clientele. In 2016, the business was taken to the next level with a physical store in Angeles City where they continue to bring good quality with reasonable prices. They do silkscreen printing, digital printing, and personalized items. Great photography and freshly-brewed coffee is a combination that Z Digital Prints Café strongly recommends. Located in Angeles City, it also offers document printing, brochure printing and photobooth handling.